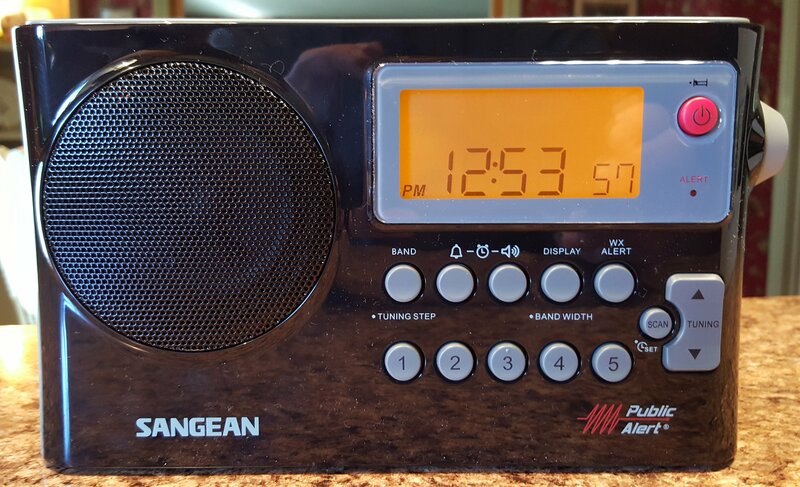 The latest high-performing AM/FM portable from Sangean was recommended to me by a reader. 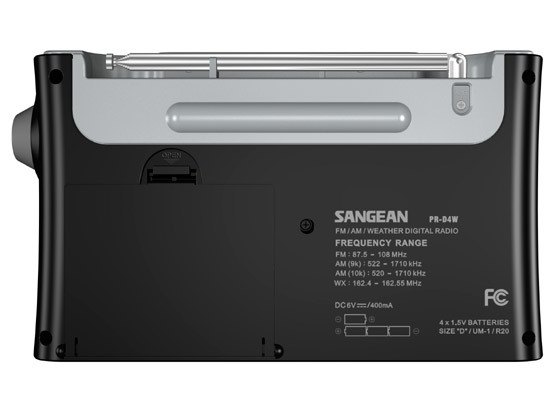 Having previously tested several Sangean radios such as the PR-D5 and PR-D15 which offered great AM reception at bargain-basement prices but which were hampered by less-than-wideband audio I hoped the PR-D4W might be a real step forward, and in many ways it is. But always cautious when I read claims of how a new radio matches or beats radios that time has shown to be near the limits of what is achievable on AM or FM I was eager to put it up against my hottest portable radios…such as the C. Crane CC-2E. AM Reception: The PR-D4W did not disappoint me on AM…after a brief scan of the AM band at mid day it was obvious that this it is one of the better performing AM portables being made today. It was so good that I decided to put it head to head with my reference among modern digital portables, the C.Crane CC Radio 2E. I scanned the entire AM band for every receivable frequency and found the Sangean to be a great performer. I frequently experimented with different bandwidth settings on the Sangean as I varied the tone controls on the CC-2E and the results were excellent for the Sangean…the CC-2E beat it on several stations but usually by only a very small margin. Some stations which were completely free of background hiss on the CC had just a trace of noise on the Sangean, Some trace signals were just stronger and more clearly audible on the CC. And there were two stations (710KHz and 1010 KHz) that had spurious noises on them on the Sangean which clear on the CC. But in the majority of cases the two radios behaved very similarly. I would rate the PR-D4WS as perhaps 95% as sensitive as the CC-2E on AM which is quite excellent considering their cost differential. I generally liked the 4KHz setting which gave nice clear audio and still allowed good selectivity…only occasionally did I dial it down a bit to help with more badly crowded signals but as a starting point I recommend the 4KHz setting. 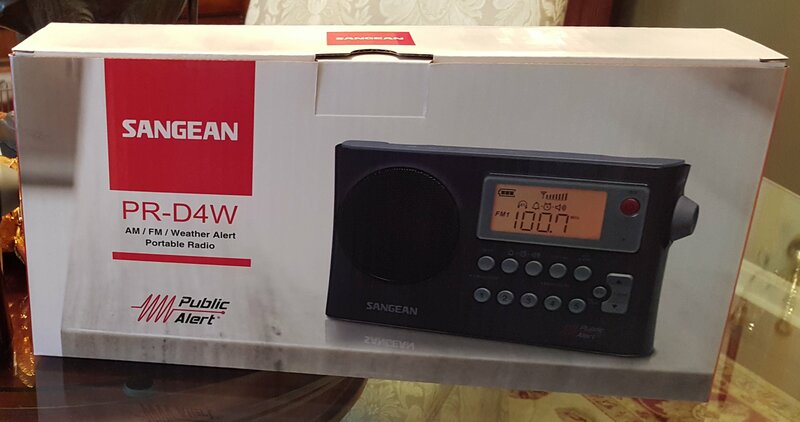 Sangean says the PR-D4W has AM Auto Tracking to improve AM reception and you can hear it work when you tune in an AM station. It takes a second or two before the signal is maximized, as with the CC-2E which performs an apparently similar function. A few negatives: The PR-D4W only tunes in 10 KHz increments (or you can set it 9Khz for other countries) so it tunes from 800 to 810 to 820 etc – like a car radio. While that is not a huge concern for most program listeners it does mean that so-called “hard-core DX’ers” may not like the Sangean for down and dirty signal chasing. Another point is that there is no tuning knob…tuning is done with Up/Down buttons. This does not materially affect the performance of the radio but I just prefer a regular tuning knob for band-scanning. The radio also mutes when it is tuned so it is not the most natural tool for band scanning. On the positive side I detected no Soft Muting which causes many DSP-equipped radios to sound unnatural as signals fade in and out…the Sangean was free of this issue. And except for two frequencies I noted it was relatively free of digital spurious noises which is good considering its high sensitivity. Sound quality on AM was good too. As I mentioned before there are no tone controls but the bandwidth control functions as a defacto treble control while listening to AM. 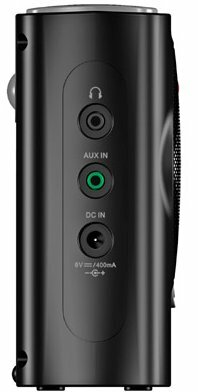 The PR-D4W has strong, clear audio and the bandwidth control lets you tailor the high frequency response to suit your preference and also to deal with signals of varying quality when needed. It sounds much clearer in this regard than the earlier PR-D5 and PR-D15 which are quite muffled by comparison. 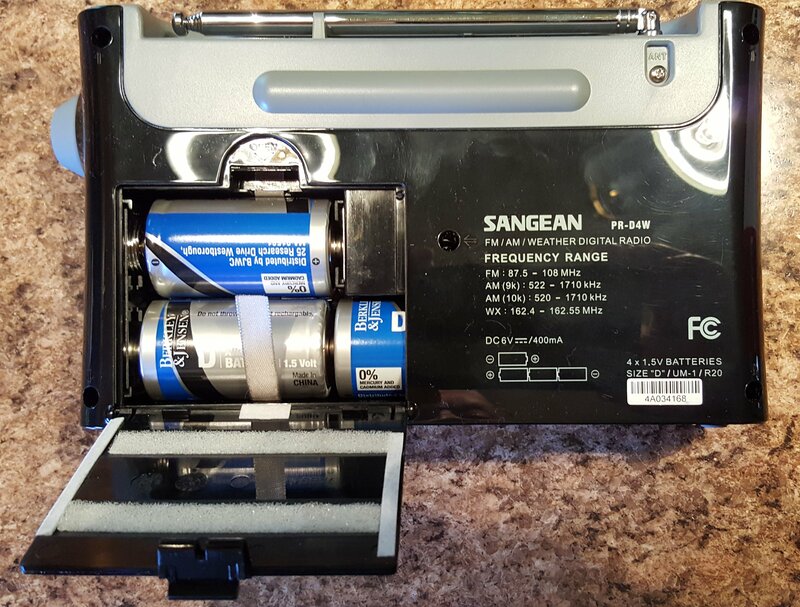 FM Performance: As we have come to expect of modern DSP portables the Sangean was truly superb on FM. Again pitting it against the CC-2E the PR-D4W seemed quite comparable on FM. My area provides a wide range of difficult FM signals. Some are just very weak, some frequencies have multiple stations which you can choose by moving the radio or re-orienting the antenna and many are adjacent to others on the dial. I couldn’t discern any meaningful differences in the FM reception between these two radios which means the Sangean PR-D4W joins the CC-2E as among the very best FM portables I’ve ever tested. Several others come close but none beat these two on FM. The bandwidth selection on FM has a different effect than an AM bandwidth adjustment. While narrower bandwidths still increase selectivity over wider ones, the trade-off when reducing FM bandwidth is not reduced high frequency response per se…it is increased distortion. On FM greater modulation requires more bandwidth than quieter modulation. However by portable standards the differences among relatively wide bandwidth choices on FM are subtle…not until you get to very low settings do you notice that the sound is mushy and less clear. Also you must use one of the two wider bandwidths to enable stereo decoding when using earbuds or the Line Out. Sound quality on FM unfortunately was disappointing on the Sangean. As I’ve often remarked in reviewing other radios, it sounds just fine until you compare it with something that sounds better. In this case the CC-2E trounces the PR-D4 for FM sound quality…the CC has both some sense of bass and treble while side-by-side the Sangean is nothing but midrange…and there is no tone control whatsoever in FM mode. This does not rule the Sangean out of consideration. 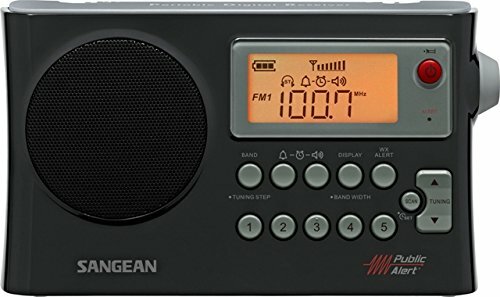 As I said, it sounds fine on its own, and for a radio that is both smaller and less expensive it will really pull in the hard to receive stations, but if you happen to put it next to a CC-2E and compare them for sound on FM you will hear that the Sangean is mostly midrange by comparison.. Too bad…a little tonal shaping in the amplifier, which could be done at little to no cost, could make it sound much richer. And a tone control would be nice as well. Weather Band works as advertised – at first I found it slightly less sensitive than the CC-2E but then I discovered that shortening the PR-D4W’s whip about two sections brought Weather Band reception up to the same level. Conclusion: All in all I’d rate the Sangean PR-D4W as a bargain. At under $70 dollars street price it provides overall reception close to the finest available at any price and its multiple AM and FM bandwidths are a plus. It seems sturdy and well made and Sangean products have a reputation for holding up well. On the down side the FM sound is not impressive, the lack of 1 KHz AM tuning steps and muting while tuning will put some people off, as will the lack of a tuning knob or a handle. But on balance I recommend the PR-D4W for offering the best overall performance in a digital radio at its price point and with the extra facility of the Weather Band thrown in for good measure.. It won’t replace my CC-2E which matches or beats it overall and for band scanning there are better choices but for the cost and size its basic RF performance is hard to beat.